Everybody loves to chase the new hotness. Whether it’s the latest iPhone or newest smartphone application sometimes our desire to chase the unknown goes against our better judgment. But can the same be applied to rookie wide receivers in the NFL? I’ll take a look at one rookie receiver in particular: Calvin Ridley. Using statistics from past rookie receivers, looking at his landing spot, and his potential target share I will project Ridley’s fantasy outlook for 2018. 17% of the most notable rookie wide receivers dating back to 2010 had a Top 24 fantasy finish. Most recently with Pittsburgh wide receiver JuJu Smith-Schuster attaining WR20 status in standard leagues in 2017. 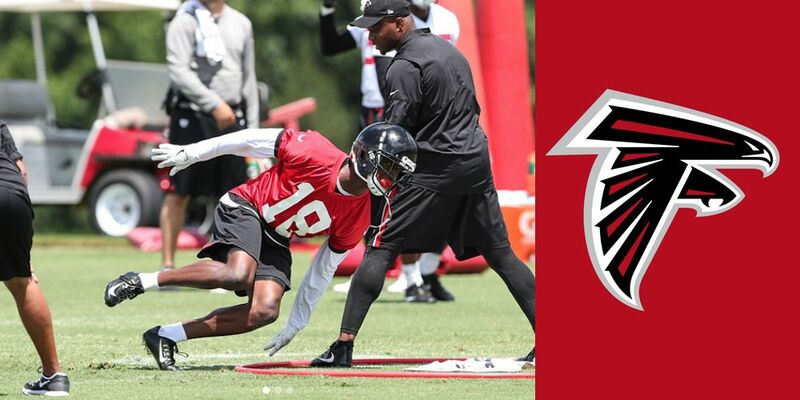 So what does this mean for the former Alabama wide receiver Calvin Ridley? History has shown us that seeing a rookie wide receiver finish Top 24 can happen. Based on his current situation let’s project the fantasy football outlook for Ridley in 2018. In the 2018 NFL Draft, the Atlanta Falcons with the 26th overall pick selected wide receiver, Calvin Ridley. Ridley joins a Falcons offense that has the potential to be one of the best in the NFL. 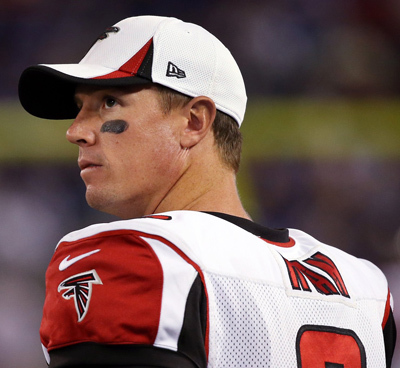 It will be the second season for Matt Ryan and company under offensive coordinator Steve Sarkisian. In 2017 according to NFL.com, the Falcons offense finished second in drive success rate and yards per drive. However, Ryan struggled with interceptions and specifically, in the red zone. This ultimately led to the 2017 Falcons to be extremely underwhelming. Looking ahead to 2018, on the other hand, we should see improvement from the Falcons offense. We often see that quarterbacks do much better in their second seasons with new coordinators so I do expect Ryan to improve after his down year last year. Ryan only threw 20 touchdowns last year, the lowest total since his rookie year. Most analysts projected regression after his 38 touchdowns in 2016, but now you should expect positive-regression. Ryan has averaged 26 touchdowns per year, so I definitely see Ryan and the Falcons offense finding the end zone more often. Ridley could be a big part of this improvement based on his relationship with the offensive coordinator. Landing alongside Sarkisian could be a match made in heaven for Ridley. He knows how to best utilize Ridley to be successful. I also love the idea of Ridley learning behind Julio Jones and not drawing all the coverage that he would if he was the primary number one on a team. This will allow Ridley to work his great route running ability on lesser defensive backs and get open for Ryan on a consistent basis. In terms of his target share on the offense, obviously he will be behind Jones, but who’s to say he cannot surpass Mohamed Sanu as the primary number two wide receiver? Sanu in six seasons has never finished in the top 24 in standard fantasy scoring, so it seems like a tough argument to defend Sanu’s target share remaining the same. Taylor Gabriel is also no longer on the team so his 50 targets as the number three wide receiver could easily be attributed to Ridley. Averaging the number two wide receiver total targets for the Atlanta Falcons since Jones became the number one receiver average out to approximately 94 targets. Based on his catch rate of 63.6% and his yards per reception at 13.5, my stat projection for Ridley in 2018 rounds out to 60 receptions for 810 yards and 5 touchdowns. So for those keeping track at home that accumulates to 111 standard fantasy points which would put him at WR30 with the finishes from 2017. An important thing to note here though is that Ridley does have a more potential for touchdown upside playing in a high scoring offense. Seeing five touchdowns turn into seven would not necessarily surprise me. A slight bump in touchdowns would move him to 123 standard fantasy points; that makes Ridley a Top 24 finisher in 2017. Besides Ryan’s projected touchdown positive regression another reason for touchdown upside is created due in part to his counterpart in the wide receiver room: Julio Jones. Jones struggled with touchdown consistency throughout his career. He has not achieved double-digit touchdowns since 2012 and has scored less than eight touchdowns in four of his past five seasons. Combine that with the fact that Jones always seems to be playing with injuries Ridley could eat into some of Jones’ work. Then throw in the fact that Jones will be skipping the team’s OTAs, Ridley could have an opportunity early to impress. Jones wants an adjusted contract which is why he is skipping OTAs. According to Falconswire.com, it is not about the total money. It is about the guaranteed money. Now, the Falcons will most likely get a deal done with Jones to keep him happy, but anytime he misses means extra reps for Ridley. And its a long-shot, but if Ridley impresses enough during his 2018 campaign he could eventually take over the number one receiver role in a few years. Mitchell Renz of Gridiron Experts was impressed by Ridley’s film and compared the wide receiver to Stefon Diggs. For me, Ridley reminds me a lot of former Colts wide receiver Reggie Wayne. Did not necessarily beat you with blinding speed or pure athleticism, but with crisp route running and strong hands. I see this with Ridley, and his situation mirrors Wanye’s entrance into the NFL: Playing behind a number one receiver. Wayne played behind Marvin Harrison. It took a few years, but Wayne developed into an elite wide receiver at the pro-level, learning behind Harrison. So stay patient with Ridley even if he does not break out in his first or second year. 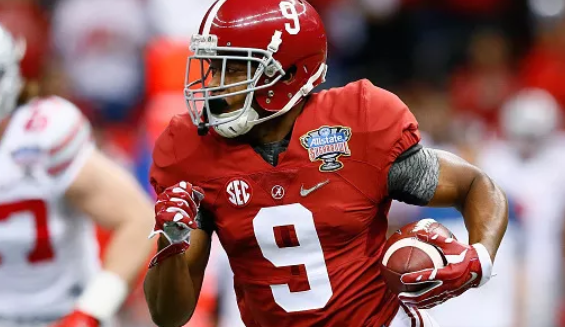 He is an older wide receiver (just 6 months younger than Amari Cooper), but at the receiver position that could mean he could develop quicker at the NFL level. According to Best Ball Average Draft Position, Ridley is going as the 49th wide receiver off the board and 129th overall. According to Fantasy Football Calculator Ridley, he is also going as the 49th receiver and 129th overall (11.07). For his current draft price in leagues, Ridley is definitely someone to target. Getting a player in a great offense that could realistically project to be a low-end WR2/high-end WR3/FLEX in the 11th or 12th round? Sign me up. Getting Ridley as WR5/6 towards the end of your draft is an easy win. Which rookie NFL wide receiver do you think will score the most fantasy points in 2018? Take to my poll and let your voice be heard. 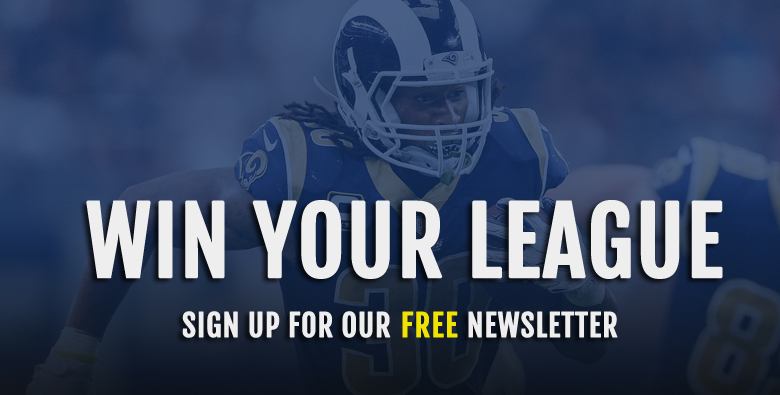 Fantasy football is a democracy! Which rookie wide receiver will score the most fantasy points in 2018? Mohamed Sanu – WR83, WR77, WR30, WR80, WR56, WR33 – Never finished in top 24. Codarrelle Patterson – WR40, WR84, WR201, WR82, WR74 – Never finished in top 24. Marquise Goodwin – WR100, WR171, WE185, WR84, WR30 – Never finished in top 24. Kenny Stills – WR48, WR37, WR75, WR28, WR26 – Never finished top 24. Terrance Williams – WR41, WR41, WR44, WR62, WR69 – Never finished top 24. Paul Richardson – WR110, WR181, WR108, WR32 – Never finished Top 24.